History can teach us many things. For scientists, it can show them how not to repeat a mistake done in an experiment, or further enhance an existing product. For the everyday person, history shows us how certain areas came to be known as they were, and even shape the way in which we go about our everyday lives. Sometimes it can even reveal answers to questions that otherwise would seem impossible to answer. Through the many hundreds of centuries in which human beings have taken extra care to ensure that their lives have been told for others to learn from. Today nothing is different. My experience these past couple of months visiting the Brooklyn Historical Society has given has shown how important keeping this information can be. Thanks to the marvels of technology, there are many different ways to catalogue and safeguard these teachings. How far has technology truly come, and has it benefited us for better or for worse? The letters that Lucy Kolkin wrote to her husband, Gabriel Furman’s journals, and the Atlases of Brooklyn over the past decades show some insight on why and how archiving information is important for our lives today. Why is it important to save old pieces of paper like Lucy’s letters? Many upon reading these letters may ask themselves this very question. The reason these letters are so important today is because of the historical value these letter provide. Though major events are chronicled in most papers, it is difficult to understand what happened in the daily life of the normal person that normally wouldn’t appear in the newspaper. For example, Lucy Kolkin was a ship builder in the 1940’s in the Brooklyn Navy Yard. Life was hard, considering the U.S. was in the middle of being dragged into a war that seemed to have no end in sight. The Brooklyn Navy Yard was probably one of the most safely guarded ports in the Eastern seaboard. Not much was known about the area, or how things moved about in the yard while it was in function, with maps only portraying the area vaguely. Lucy’s letters, though not detailing the work she did in any amount of great length, did show how life was for her at that time. This insight reveals how Brooklyn was shaped into the place it is today, and how life was for the people back then. Presently the BHS holds physical copies of these letters today. Jennifer Egan’s short essay “Reading Lucy” shows the authors own personal connection after reading Kolkin’s letter. The BHS offered Mrs. Egan the opportunity to connect with Kolkin across various decades. In her essay, Mrs. Egan states how the original purpose of her research was to discover how to ship builders in the Brooklyn Navy Yard faired during the war effort. 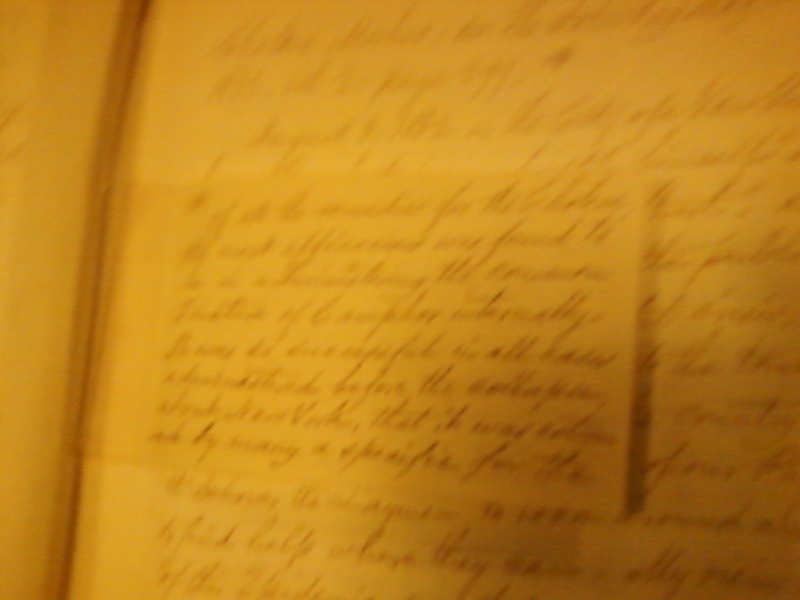 These letters provided an insight that otherwise might have been lost if not properly archived. Now is holding the physical copy of these letters be wasting space? Maybe since, as Ms. Leslie N. Carraway made clear in her essay On Preserving Knowledge, new ways of archiving things, such as Lucy letters, have allowed for them to be stored digitally and take up as much space as a USB flash drive does. Although I agree that not everything should be archived in physical form, that some things are lost if read digitally opposed to holding the paper. 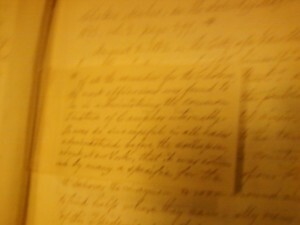 Does it truly give the same sense of awe reading a book handwritten in 1832 on a computer, as it does holding the physical book in your hand? There is a very delicate balance between the conservation of books through physical and digital means. Imagine yourself holding a book, whose pages are yellowed with age and smell of old paper and ink. Opening said book with utmost care making sure that you don’t jostle the pages too much for fear of tearing them. This was the small ritual I performed as I held Gabriel Furman’s journal in my own hands, of which, the books age made me nervous to handle it. The information held on the aged battered pages is what gave me even more of a shock. Furman took a great deal of time and care to write every detail available to him at the time. When talking about a possible cure for cholera, Furman when to great detail in transcribing the cited newspapers into his own notes. This pain-staking meticulousness seemed to be a shining example in researching a topic, which many people seemed to copy. This ensured that Furman was misinterpreted, and that his ideas were very clear and well understood. 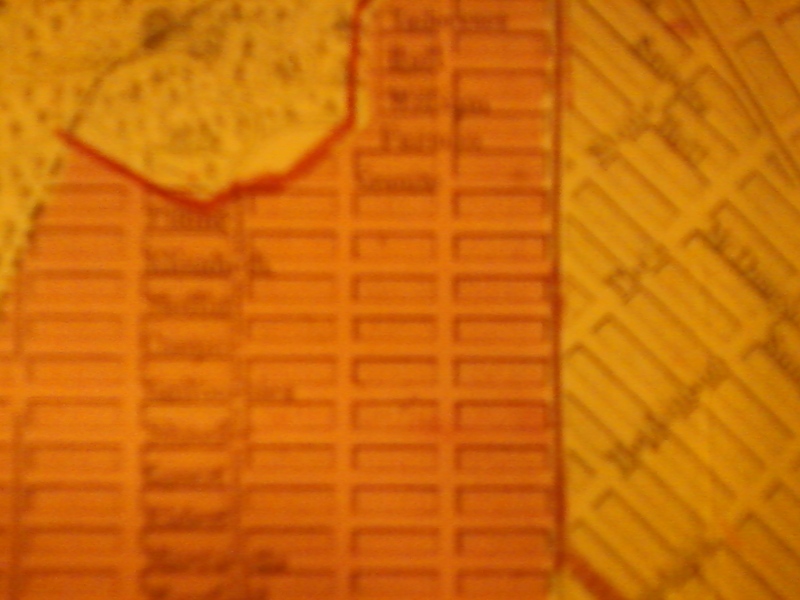 Something else that helped to see the way the past is so important to us was looking at the atlases of Brooklyn. One of these atlases contained information that was relevant pack then, and can even be used today. For example, on one of our visits to the BHS, we saw a map that showed the type of material that the buildings were made of. These such maps were used in the 1800’s to help insurance companies to figure out how much they were to charge a person for insuring a specific building depending on the location of the building and also on the materials that the building was made of. 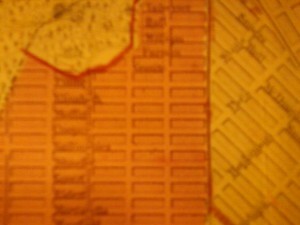 We also saw maps that showed lots of buildings, which showed were the property would begin and end for a specific lot. These lot maps have been used consistently over the years, to the point that they are even used today by various agencies to catalog and ensure where the properties they are trying to sell or buy begins and ends. The only way for these lot maps are up-to-date would be to trace the maps that detailed the sale and locations of these lots. Without proper archiving, disputes would begin over who owns the land and were a person can build. Proper archiving of materials is something that can benefit us all. Though the methods in which to store this information, which Kirschenbaum goes into detail in his short essay “Hamlet.doc?”, which analyzes the advantages of digital archiving over conventional. Though there are advantages to digital archiving, conventional archiving can still be useful, for example, would have it been possible for Mrs. Egan to make a connection with Lucy Kolkin if she had read a digital version of Lucy’s letters? Probably, but it would have been harder. When comparing both Kirshenbaum and Carraway’s, the benefits of digital archiving are evident. They save space, and with the continuing advancement of digital storage devices, the amount of space that can contain data becomes basically unlimited. It is thanks to this technology that archiving has come so far. The past is something that affects us all today. Whether we store the information of our past digitally or conventionally, what matters is that we look to the past and remember it. Remembering the past can help unlock, and enlighten our future. Carraway, Leslie N. “On Preserving Knowledge.” Http://ehis.ebscohost.com.citytech.ezproxy.cuny.edu:2048/ehost/pdfviewer/pdfviewer?sid=80c3af4b-4d0c-4189-b6af-50ec63a8fec9%40sessionmgr110&vid=5&hid=101. Web. Egan, Jennifer. “Reading Lucy.” Brooklyn Was Mine. Http://openlab.citytech.cuny.edu/firedisease/files/2011/06/Egan-Reading-Lucy.pdf. Web. Kirschenbaum, Matthew. “Hamlet.doc?” Chronicle.com. Web. <https://openlab.citytech.cuny.edu/firedisease/files/2011/06/Hamlet-doc.pdf>.